December 5, 2016 in art, copper, drawing, jewelry, sun+dog. Fall in Colorado! 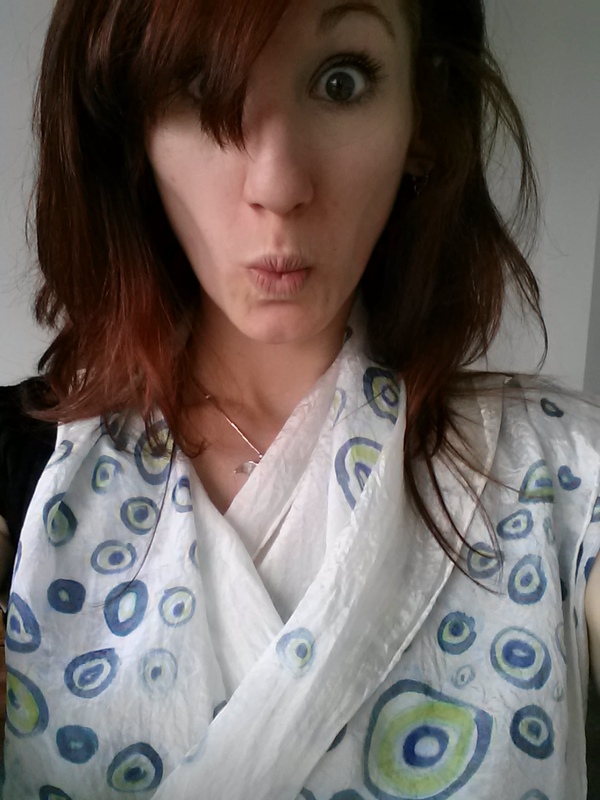 I dyed this silk scarf yesterday afternoon, the last day of the Loveland Art Studio Tour and oh is it a beauty. It makes me want to go out and hike on the hills and watch the trees prepare for winter! Have a wonderful week! October 17, 2016 in art, color, copper, fiber, silk, sun+dog. September 30, 2016 in art, color, copper, drawing, jewelry, silk, sun+dog. September 8, 2016 in art, copper, drawing, jewelry, sun+dog.